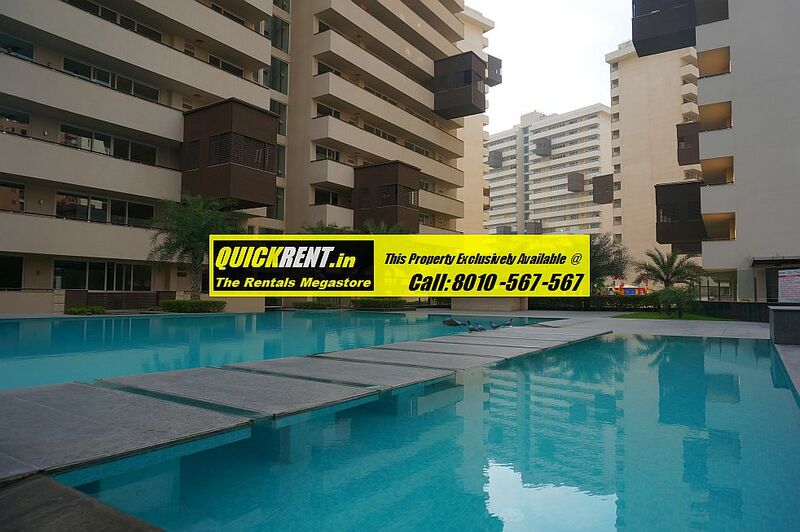 This page will display all the 5 BHK Apartments for rent in Gurgaon. It is always interesting to view images and videos to be able to understand a specific community, we have compiled Pictures of DLF Magnolias for the discerning clients who are looking to rent an apartment in Magnolias, Gurgaon. 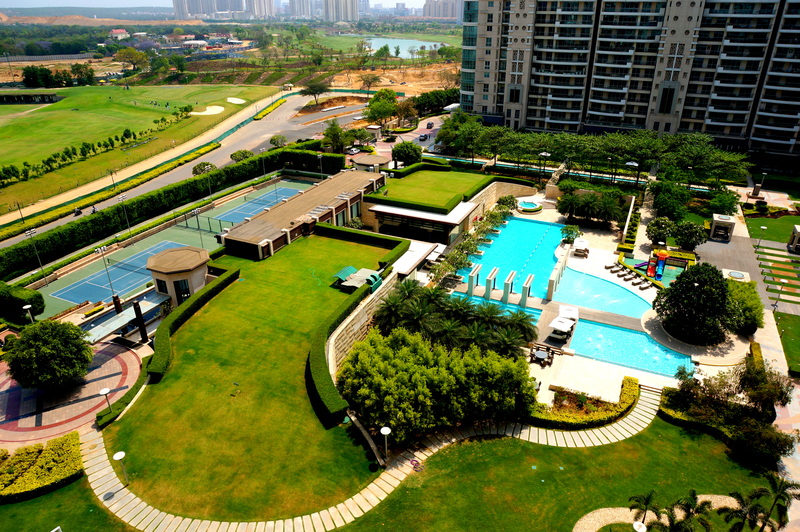 It makes a lot of sense when you are moving from another country to Gurgaon to be able to see some actual pictures rather than to visualize based on what someone else may be telling you, so here are some actual Pictures of DLF Magnolias which is one of the Luxury Apartment Community in Gurgaon. 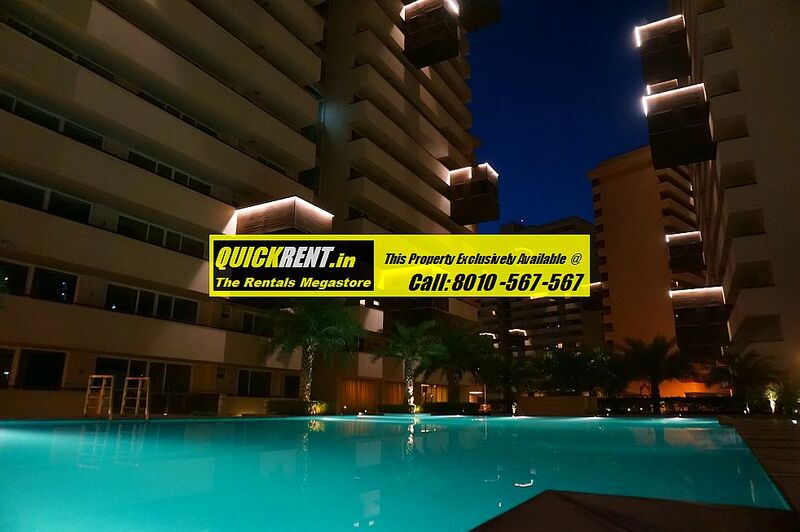 This is a fabulous fully furnished apartment for rent in DLF Magnolias. Mostly the colour used to decorate this apartment is shades of white, which makes this apartment very elegant and well lit. The apartment is located on a higher floor and is very well located within the DLF Magnolias community. In case you are looking for a Fully Furnished Apartment for Rent in Magnolias, then this could be one of your options. 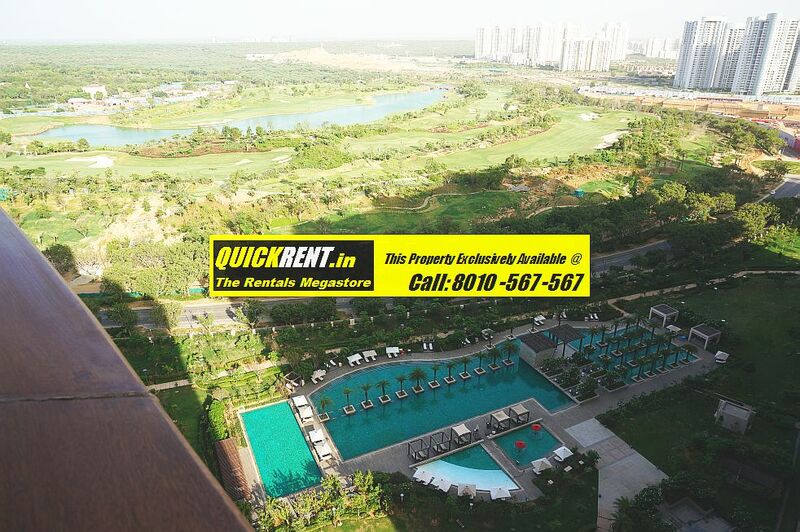 Apart from this apartment, we do have other furnished apartments for rent in DLF Magnolias. While there are a lot of villas at Palm Springs, however, this one is really special, what makes this villa special is the extra outdoor space that this villa has all around it, while normal villas for rent in Palm Springs have only a small rear lawn, which is very small, this exclusive villa for rent in Palm Springs has almost a 400 yards of extra lawn space within the compound of the villa. Whats more, the entire villa has been redone to luxury specifications with sparkling granite floors, modern bathrooms fittings, high quality wardrobes etch. (Watch the Pictures below). The Villa is a 5 Bedroom Villa and comes with a Lift to take you through the various floors as the villa is spread over 4 levels, Basement (Can be used to create a private Studio/Entertainment Zone), Ground, First & Second. This villa for Rent in Palm Springs is one of a kind villa and there is no other villa like this in the entire community. Villas can be a great choice to live, however, not all villas in Gurgaon would make a great living, the problem is that there are very limited villas that are within a gated managed community. While most of the villas that have been built in Gurgaon are in open colonies like DLF Phase I, Phase II, Phase III & South City 1 apart from villas in Huda Sectors, there are very limited managed communities that host villas. The challenge with living in these open colonies are the ones that can not be ignored, first of all, the power back up is not centralized and without power back up, one can not think of surviving in Gurgaon. The second is security, while the managed gated communities have a 24×7 managed security within the compounds of the gates, the open colonies don’t offer security, one has to prepare for one’s own security. The Third is the common facilities and the club, while being part of a gated villa community, you would have access to the common club area of the community, on the other hand, if you were to rent an independent house in Gurgaon, you would end up getting the membership of an external club and bother with the inconvenience of commuting from your home to the club and back. There are some Gated communities that offer villas in Gurgaon, to name a few, Tatvam Villas, MGF Vilas, Palm Springs, The Legend, Eldeco Mansionz and barely a few others. 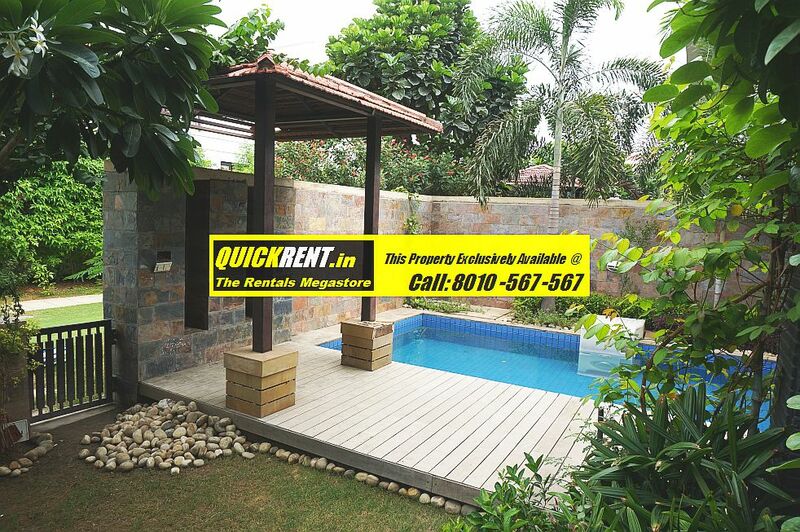 In case you are looking for a villa for rent in Gurgaon, then you are at the right place, we have multiple options of villas for rent in Gurgaon at various communities. Please feel free to get in touch with us. Large Basement for Entertainment Room. Large Garden both in Front and Back Yard. Large Drive Way with lots of car parking space. Expected Rent is Rs. 1.6 Lacs +Maint. 15K. Very Large Basement for Leisure and Entertainment. Almost like living in a mini farm house. Large Open Terrace on the Top. 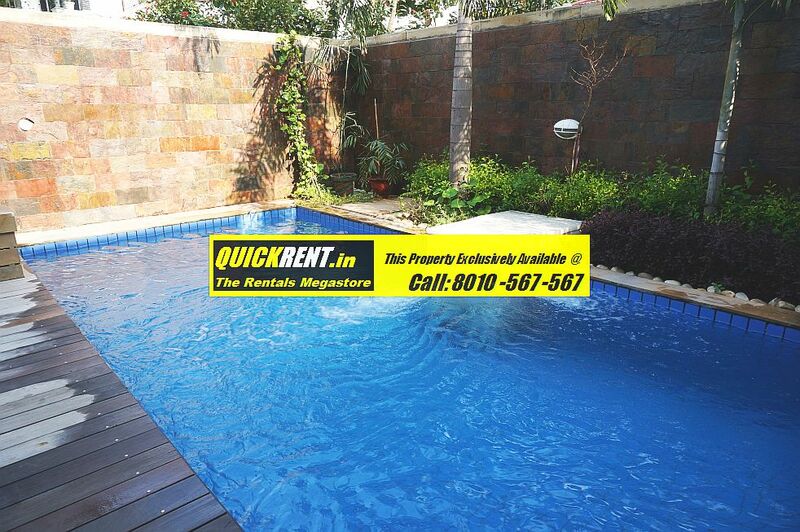 This luxury villa for rent in Gurgaon is located within a gated complex called The Legend, just off the Golf Course Extn. Road. Great access from Golf Course Extension within a few seconds. Gurgaon’s Luxury Residential Communities are actually quite scattered, while one may think that Golf Course Road is one of the best places to live in Gurgaon, however, not all residential communities on the Golf Course Road would fit the bill. In fact, there are some communities would be outright rejected by connoisseurs of Luxury while a few actually fit into the vision of Best Places to Live in Gurgaon. On the contrary, in some cases there are other Places which offer a great lifestyle living in Gurgaon even though the location may be a bit out from the so called down town Gurgaon. Being a growing city, it is at this point in time difficult to actually define the downtown of Gurgaon, some of the newer Places like the Golf Course Extension may actually become the downtown of Gurgaon in times to come, with the super luxurious apartments in Gurgaon offering 5 Star Hotel services like The Grand Hyatt Residences for Rent. So at this point in time, one can say that the Gurgaon has a shifting Downtown at this point in time. So the question remains, what are the best Places to live in Gurgaon? Well, the really good residential communities are a handful in Gurgaon and can be on your finger tips. If we talk about the Golf Course Road, undoubtedly The Aralias, The Magnolias and The Camelias would take the lead, primarily because they are the only real Golf Apartment Communities in Gurgaon. Apart from this, The Verandas is a fantastic residential community, which offers value for money luxury apartments for rent in Gurgaon. The attribute that brings The Verandas in this category is the internal finish quality of the apartments and the detailing of the quality delivered in these apartments. There after Palm Springs would be the next best residential community in Gurgaon, offering Villas & Apartments within the community. For those who like to enjoy being in a very green and villa style of community, then one of the most sought after villa community in Gurgaon would be Tatvam Villas Gurgaon. A host of Expats live in this community because of the way this Luxury Villa Community is designed, each villa opens up to the common greens from the back yard and each villa offers a private swimming pool within the villa. Over the years, our experience has been that Home means different things to people, it has a lot to do with the vibes of the place when you visit and something clicks inside you and tells you that this is where I would like to spend some part of my life, this is where I will be comfortable with my family for the time that I am going to spend in Gurgaon and that is the place that you would rent. Gurgaon’s Luxury Residential Communities are actually quite scattered, while one may think that Golf Course Road is one of the best areas to live in Gurgaon, however, not all residential communities on the Golf Course Road would fit the bill. In fact, there are some communities would be outright rejected by connoisseurs of Luxury while a few actually fit into the vision of Best Areas to Live in Gurgaon. So the question remains, what are the best areas to live in Gurgaon? Well, the really good residential communities are a handful in Gurgaon and can be on your finger tips. If we talk about the Golf Course Road, undoubtedly The Aralias, The Magnolias and The Camelias would take the lead, primarily because they are the only real Golf Apartment Communities in Gurgaon.